"Complaining" is, unfortunately, an everyday occurrence, and therefore, it may be considered a survival skill for ESL students. The thing about _______________________ is (that) _____________________. The thing about English grammar rules is that there are so many exceptions! The thing about delicious food is that it is usually fattening. 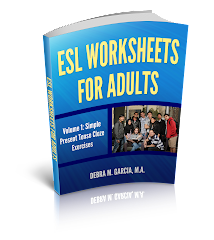 You can teach this to adult ESL students by writing the formula for them and then giving them some written or spoken examples. 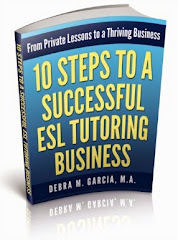 It's usually hard for ESL learners to come up with the two parts themselves, so you can start the complaint by saying, for example, "The thing about my husband is that _________________________." This example seems to work very well for my married students! "Talk to" or "Talk with"
What if You Don't Know the English Rule?